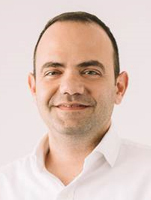 Constantinos Spyrou is the General Manager of Satlink Satellite Communications Ltd in Cyprus, a member of the Worldwide Tototheo Group of Companies and an active member of the ICT Committee of the Cyprus Shipping Chamber. Over the last decade, Constantinos has earned extensive experience and knowledge in regards to Maritime Satellite Communications Systems, as well as Electronic and Navigational Equipment development. Constantinos provides worldwide consultation and solution services to clients within a very niche industry and undertakes the process of supply, service, installation and support of high quality, sophisticated on-board maritime electronic equipment to clients. Graduating in Toronto, Canada and Certified by the prestigious Copenhagen Business School in regards to Maritime Cyber Security, Constantinos offers knowledgeable advise and support to Maritime, Aviation and Government Authorities in regards to Global Satellite Management Communications tools.